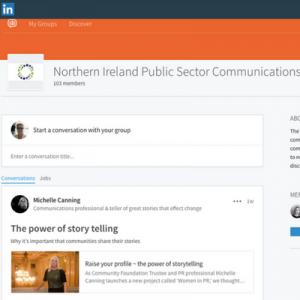 Here are just some of the organisations whose communications professionals have already signed up. The Mid and East Antrim Borough Council area benefits from its strategic location within Northern Ireland. Its close proximity to both major airports, the Port of Belfast and, of course, the Port of Larne itself, make the area ideally suited for commerce. The Community Relations Council was established in 1990. 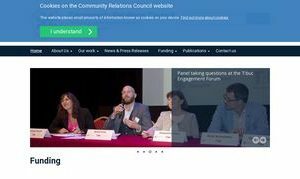 The organisation works to identify and develop effective approaches to peace-building and reconciliation in partnership with local people and organisations, and with central and local government. The Council is a non Departmental Public Body (NDPB). Its sponsor Department is the Department of Education. 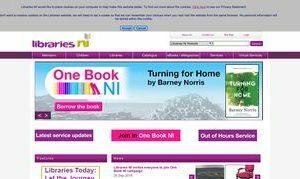 Invest Northern Ireland (Invest NI) is Northern Ireland’s regional economic development agency. It supports business growth and inward investment, promotes innovation, research and development and in-company training, encourages exports and supports local economic development and company start up. 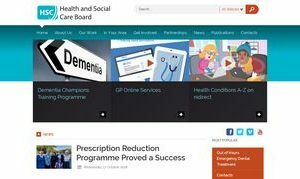 The Health and Social Care Board (HSCB) is a statutory organisation which arranges or commissions health and social care services for the population of Northern Ireland. The HSCB accountable to the Health Minister, turning their vision for health and social care into a range of services that deliver high quality and safe outcomes for patient and service users, are good value for the taxpayer, and comply with statutory duties. Northern Ireland Water is a Government Owned Company (GoCo), set up in April 2007 to provide the water and sewerage services in Northern Ireland. Big Lottery Fund is the largest community funder in the UK. 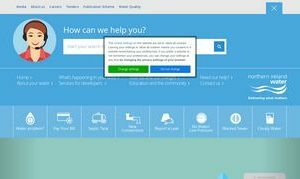 Each year it distributes millions of pounds of the National Lottery’s good causes money to community groups and charitable projects around the country. 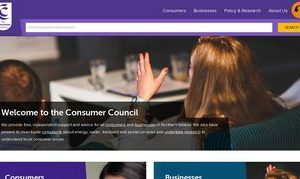 The principal statutory duty of the Consumer Council is to promote and safeguard the interests of consumers in Northern Ireland. 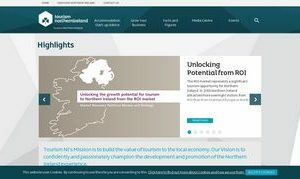 Tourism NI’s mission is to build the value of tourism to the local economy. Its vision is to confidently and passionately champion the development and promotion of the Northern Ireland experience. 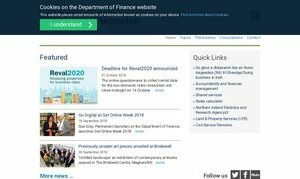 The Department of Finance (DoF) aims to help the Northern Ireland Executive secure the most appropriate and effective use of resources and services for the benefit of the community. 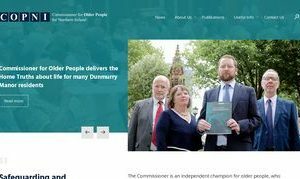 The Commissioner for Older People for NI is Eddie Lynch. 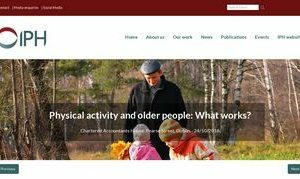 Safeguarding and promoting the interests of older people. 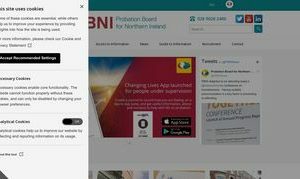 The Probation Board is an independent organisation delivering public services to offenders and victims of crime in pursuit of the common good. 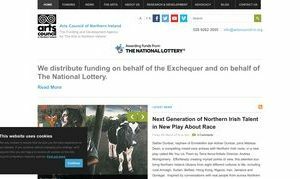 The Funding and Development Agency for The Arts in Northern Ireland. 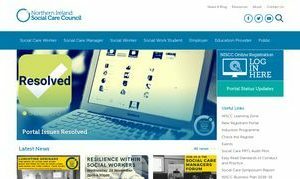 The NISCC helps to raise standards in the social care workforce by registering social care workers; setting standards for their conduct and practice and supporting their professional development. 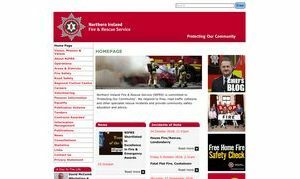 Northern Ireland Fire & Rescue Service (NIFRS) serves the entire population of Northern Ireland, an area of over 5,500 square miles, with a population of 1.81 million, providing them with a range of fire and rescue services. 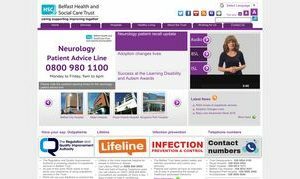 The Belfast Health and Social Care Trust is the largest integrated health and social care Trust in the United Kingdom. Connecting people with information, ideas and experiences to foster lifelong learning, inspire curiosity, provide enjoyment and strengthen communities. The Institute of Public Health in Ireland (IPH) is committed to improving the health of communities across the island of Ireland through public health approaches. 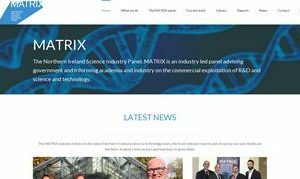 MATRIX, the Northern Ireland Science Industry Panel, is a business led expert panel, formed primarily to advise government, industry and academia on the commercial exploitation of R&D and science and technology in Northern Ireland. MATRIX produces regular, in depth reports which outline the work, findings and recommendations of specialist panels. 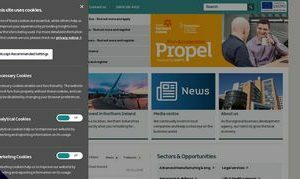 These reports are an invaluable resource for anyone interested in how new technologies and market opportunities can be developed within the Northern Ireland economy and beyond. 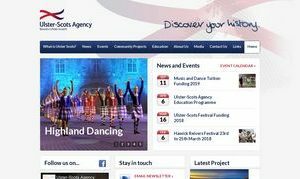 The aim of the Ulster-Scots Agency is to promote the study, conservation, development and use of Ulster-Scots as a living language, to encourage the full range of its attendant culture; and to promote an understanding of the history of the Ulster Scots. 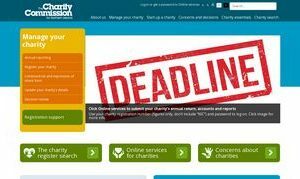 The Charity Commission for Northern Ireland is the independent regulator of charities in Northern Ireland, responsible for ensuring Northern Ireland has a dynamic and well governed charities sector in which the public can have confidence. 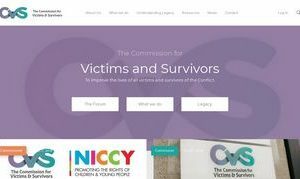 We at the Commission for Victims and Survivors for Northern Ireland believe passionately in our work and the rights of all victims and survivors to be heard, to be respected and to have access to services that are the best they can be. 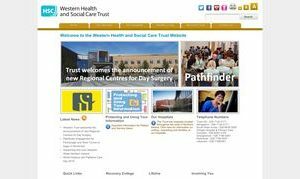 The Western Health and Social Care Trust provides health and social care services across the super council areas of Strabane and Derry City, Fermanagh and Omagh District and a portion of the Causeway Coast and Glens Borough Council area. 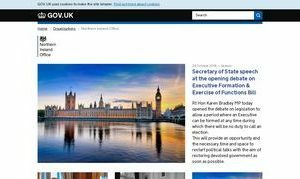 The Northern Ireland Office supports the Secretary of State for Northern Ireland in promoting the best interests of Northern Ireland within a stronger United Kingdom. 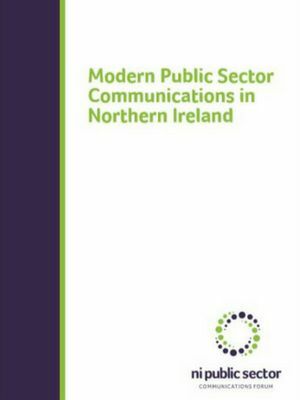 It ensures Northern Ireland interests are fully and effectively represented at Westminster and the heart of Government, and the Government’s responsibilities are fully and effectively represented in Northern Ireland. 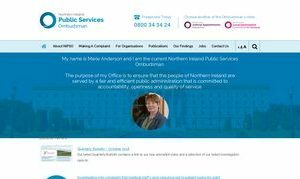 The purpose of this office is to ensure that the people of Northern Ireland are served by a fair and efficient public administration that is committed to accountability, openness and quality of service. 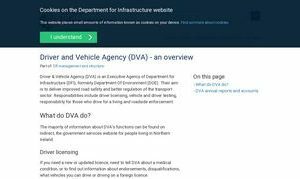 DVA is responsible for licensing and testing vehicles and drivers in Northern Ireland. Their aim is to deliver improved road safety and better regulation of the transport sector. Responsibilities include driver licensing, vehicle and driver testing, responsibility for those who drive for a living and roadside enforcement. 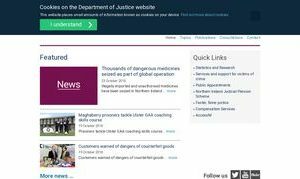 DOJ’s objectives are centred around Problem-Solving Justice, which gives scope to drive strategies based on addressing the underlying causes of offending behaviour. Early intervention can help the individual and benefit wider society. 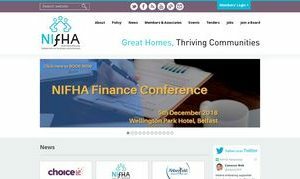 NIFHA is the representative body for housing associations in Northern Ireland. Its 20 members manage around 49,000 homes including family accommodation, sheltered and supported housing and shared ownership homes. 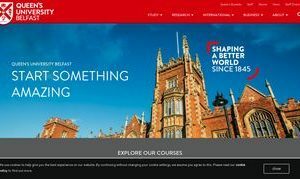 Founded in 1845 as Queen’s College Belfast, QUB became an independent university in 1908. Today, Queen’s is a member of the Russell Group, combining excellence in research and education with a student-centred ethos. The Northern Ireland Housing Executive was established in 1971 as Northern Ireland’s strategic housing authority. 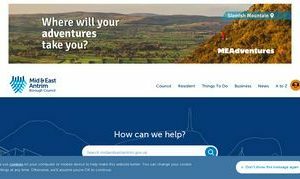 It offers a range of services to people living in socially rented, privately rented and owner occupied accommodation as well as supporting and working with a number of other public bodies. Don’t see your organisation here? 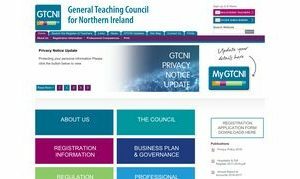 I'm signing up to try to follow best practice as set out in the guide and collaborate where I can with colleagues across the sector.